The government will cover legal costs as the former justice minister seeks to quash some of the Guerin report’s findings. Alan Shatter and Enda Kenny in happier times. THE GOVERNMENT WILL pay the legal costs of the barrister whose scathing report led to Alan Shatter’s resignation as justice minister in May. Shatter is taking legal action in the High Court to quash some of Seán Guerin’s findings in his report into the handling of allegations of garda malpractice by whistleblower Maurice McCabe. The report’s findings led to the resignation of Shatter who has since heavily criticised its conclusions and the conduct of Guerin in two separate Dáil speeches, particularly the senior counsel’s failure to interview him during the course of his inquiry. In his court action filed last week the Fine Gael backbencher alleged objective bias, absence of fair procedures and “indecent haste” on the part of Guerin in how he compiled his report into the handling of the allegations. He wants some of the reports allegations quashed but the government will be backing Guerin in the High Court case, confirming today it plans to cover any of his legal costs. “We’re going to indemnify him,” a government spokesperson said this afternoon. Background: How has Alan Shatter gone from Department of Justice to High Court? Email “The government is backing the man who caused Alan Shatter to resign”. 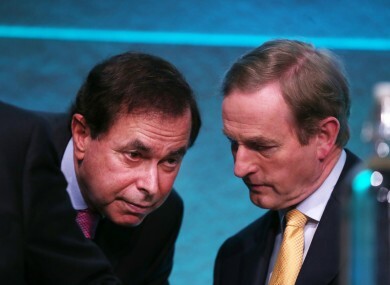 Feedback on “The government is backing the man who caused Alan Shatter to resign”.